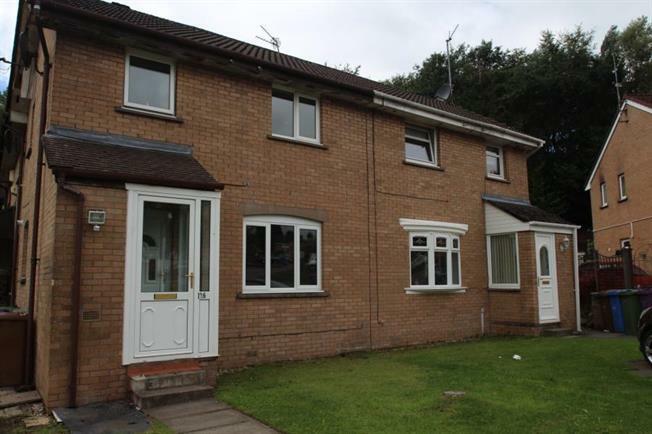 2 Bedroom House For Sale in Glasgow for Offers Over £80,000. End terrace villa set on the sought after Hogarth Avenue. Internally the property is in great condition throughout with well proportioned living accommodation. Early viewing is highly recommended. The accommodation comprises an entrance vestibule, lounge through to kitchen. The kitchen has a range of base and wall mounted units. Upstairs comprises two double sized bedrooms and a family bathroom. In addition there is double glazing and gas central heating. There is schooling both at primary and secondary levels within the area. Local amenities include, recreational park, nine hole golf course, library and much more. Supermarket shopping at the Forge, Parkhead. Public transport includes both bus and rail links to the city centre and beyond.